Genuine Fiat 500 | 500C Carpet Mats with Edging/Logo. Genuine Fiat Black Carpet Mats With Black Edge 71806672 - Ivory 500 Logo And Embroidered Italian Flag. Protect your footwell carpets with these custom-fit velour carpet mats. 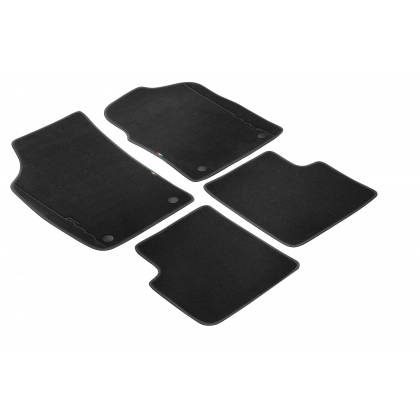 These not only provide you with protection for the interior of your Fiat but also are a very stylish addition. Tailor made for this specific car will fit your fotweels with no problems.